Curious oil friends, this one is for you. A lot of you have been reaching out, curious about what oils are, why I am using them and asking if you should. The answer is, "Of course you should!" But I am going to let you decide for yourself. This is a post full of all the juicy oily details. Give them a try, ladies and gents. What are Essential Oils (EO)? Let's start with this amazing fact first: The Bible contains 188 references to the use of essential oils or the plants from which they are derived. Awesome, huh? These oils are the aromatic, volatile liquids distilled from plants and have been around for A LONG TIME, guys. These are not new, despite the recent craze. We are just finally catching up to what's been available to us all these years. The essential oil is actually obtained from the seeds, roots, and entire shrub, flowers, leaves and trees. The specific part of the plant in which the oil comes from, varies per oil. I was never really skeptical (mostly curious), but most people are, so I totally understand if you're one of them. Scott refers to me as a hippy-wanna-be. But guess what? I think I am okay with that. Half the reason I jumped on board is because I trusted my friends and believed the results they were having with the oils. Now I have some of my own success stories. Here is a great article for those of you still needing that extra boost. It's long, but keep reading, the disclosure at the end is my favorite part. Frankincense: I mix ONE drop of this EO with a quarter size of Sweet Almond Oil and use it as a face cleanser every night. Smells good and is keeping my recent "teenage-acne" at bay. Purification: I use this to zap zits and blemishes. I even have Scott using this one. This is also a good one for dog ear infections. Monty is prone to ear infections in his one ear, so I've been putting one drop on the outside flap of his ear a couple of times a week and his ear has been less red and irritated! Peppermint: MY FAVORITE OIL. I have used this to relieve headaches, by putting a drop on my thumb and pressing it to the roof of my mouth and back of my neck. I also mixed this with PanAway and Joy and it CURED my period cramps. That was one of the first recipes I tried and what made me a believer in oils. This is also amazing to diffuse and helps wake me up in the morning. Thieves: This is an great defense for a weak immune system and kills airborne bacteria. I've been using this in the diffuser a lot to kill germs. It's a great one to put on the bottom of your feet when you are feeling under the weather. Or on your throat when your getting a sore throat. I also mixed this up with some Vitamin E oil and rubbed it on our sheets while we were away on our trip. This is a great oil, for all you germ-a-phobes out there. Lavender, Peace and Calming and Valor: This is a great sleepy time combination. Putting this in the diffuser makes my house smell like a spa and it makes both of us extra sleepy. I also mixed these up with Vitamin E oil and put it on my feet before bed. Stress Away: this comes with a roller ball, so I just roll it on my wrists and neck when I am feeling anxious. I used this one a lot on my travels through Europe. Cramped planes and rushed mornings make me uneasy, so it really was a life saver. Scott yelled at me on the plane and said it stunk, but I personally think it smells delish. I have been using my oils for SO many other things, but wanted to give you a few real life examples. Another reason I purchased the oils (aside from my own curiosity) was to help relieve Scott's migraine pain. He has been on so many preventative medications, which seem to only last a year before he's trying a new combination. Fortunately, he hasn't had a migraine since I got my oils, but I am ready to go with Peppermint, PanAway and M-Grain when he does get one. I will report back on the results! Regardless if you suffer from minor or major ailments, there are HUNDREDS of testimonials out there that you can research. Several of my friends turned to oils to treat allergies, eczema, scars, sleep issues, infections, colds, etc. and the oils are working. It's amazing what they are doing for people. Keep in mind, what works for some, may not work for you. So I always encourage: Experiment, Experiment, Experiment!! That's half the fun. How do you get some? What I started with and what I recommend to people is the Premium Starter Kit for $160. It comes with 11 of the most popular oils (one being Frankincense, which is one of the MOST expensive oils out there), but you get a bunch of sample packets and a DIFFUSER too! That's probably my favorite part. The diffuser alone is $95, so really the starter kit is the best bang for your buck. And is a great way to start experimenting with essential oils. 1. Click here for the sign-up page. 2. 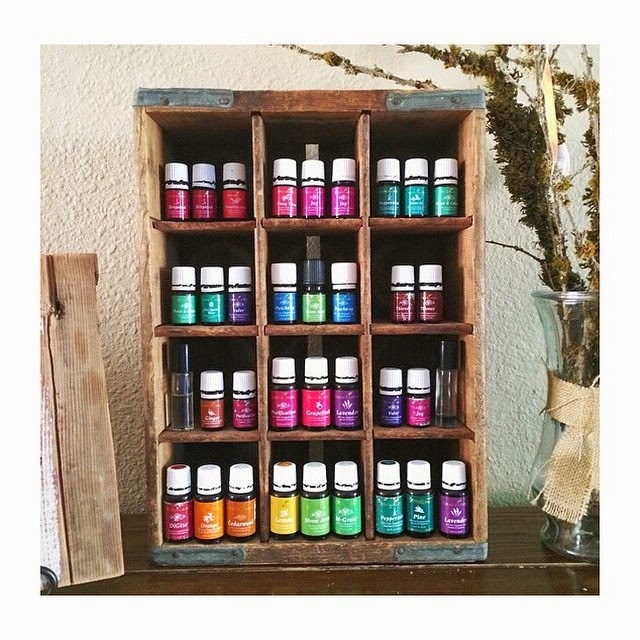 Select "Sign Up As: Young Living Wholesale Member" - which means you will get 24% off all future oils orders. Forever. As long as you spend $50 annually - that's easy to do. Promise. 3. The "Enroller ID" and "Sponsor ID" boxes should already be filled in for you. If they aren't, my ID is 1937143, and you can fill in both boxes with this number. 5. Create your password and pin which you will use to log into your account and order your oils. 6. Select your enrollment order. This is where you can specify which starter kit you would like. You must sign up with one of these kits to become a Wholesale Member. I recommend the Premium Starter Kit with the Aroma Diffuser ($160). That's what I got and I love my diffuser. The Home Diffuser is nearly the same only it doesn't have a timer and the mist covers less of a radius than the Aroma one. 7. Set up your option Essential Rewards Program. Buying of the ER kits is NOT a requirement to sign up ad a Wholesale Member! This is a rewards program you can opt into to start earning money back to help pay for your oils. At this point, you can skip this step by selecting, "No, Thank you. I plan on enrolling in the Essential Rewards Program later." If one of the ER kits looks valuable to you, then go for it in addition to your starter kit. 8. Agree to Terms and Conditions. 9. CONFIRM YOUR ORDER. Some folks miss this step and end up not fully checking out. To confirm, the tool with log you in and it will show you your order again and it will make you enter in your payment information again.